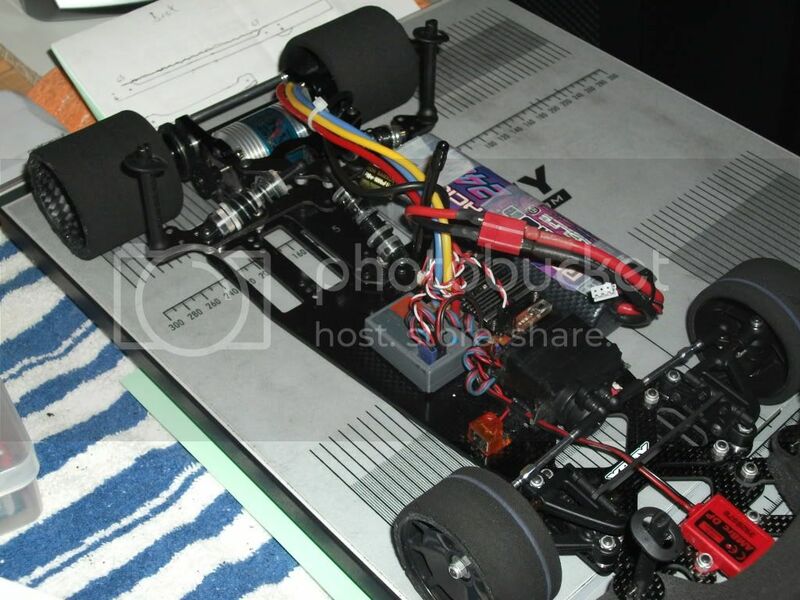 XRAY - Model racing cars • View topic - X10O(val)? Will there be an oval version anytime? XRAY...any thoughts on producing an Oval X10? Oval is heating up in our neck of the woods. SCAR 25.5 is perfect for oval but an oval X10 chassis would be great. On Wednesday Night I grabbed the 17.5 Single Cell Oval RR (Road Race Chassis) Track Record for Fast Lap and Best 5 Minute Qualifier with my WGT Xray X10 Link with a Protoform Oval Body. The Car handled well. I've got some crc wide body mounts coming. Should help my car stop shuttering. I'm building a XRAY Oval Car using a XRAY T-Bar Car and some Associated Oval Car Parts. I'm trying to Simplify my RC Racing to require less parts using the same make car for both Circuit, Oval and 12th Scale. This project will require some Chassis surgery and some spacers. It should be ready by the middle of October. 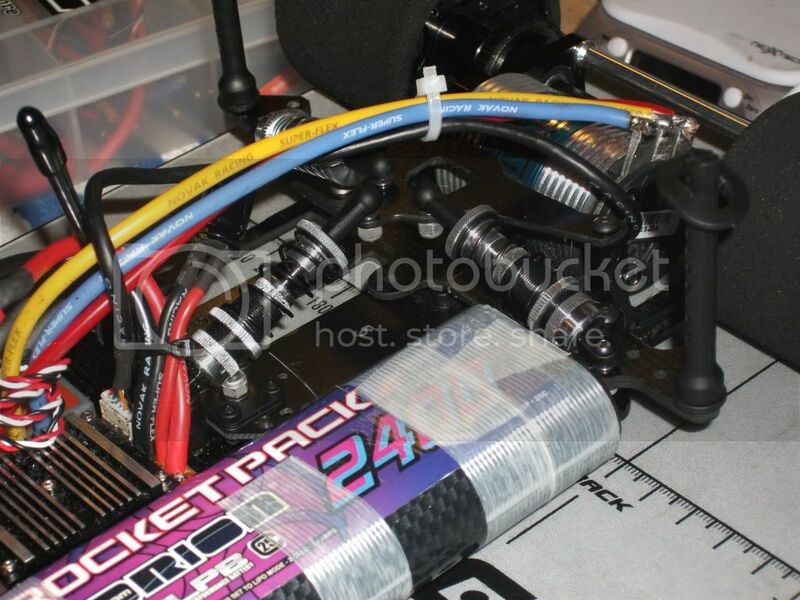 I'll be using Associated RC10L3O Mounting Bracket #ASC8490 and Battery Tray #ASC8492 which I ordered at Lou's Speedway. John will be creating his own (as per above). I use my T-bar X10 for oval. How about it Xray? Is there a future in oval for the X10? Well, since John is selling his Xray X10 fleet I have decided to pickup his modified X10 T-bar for oval. 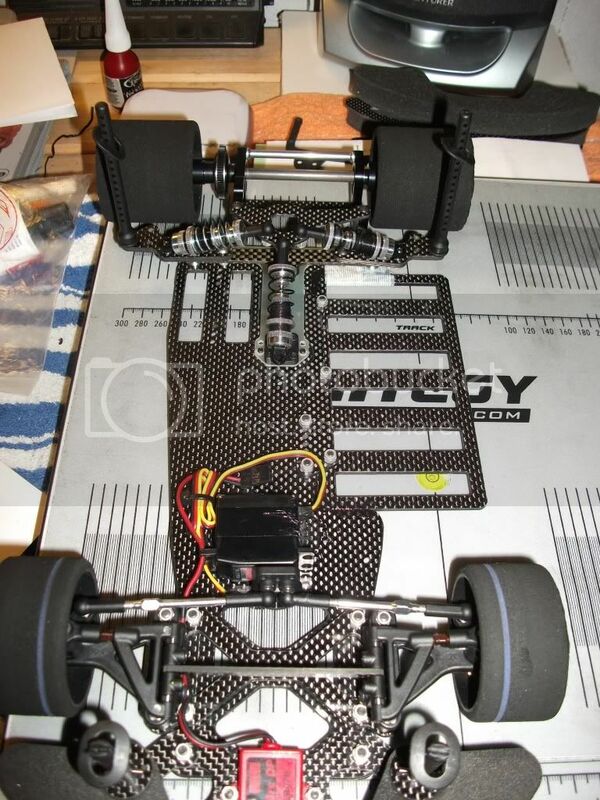 Here are the chassis shots he posted. I haven't seen the car in person yet but I'm excited to get it on the track. Fingers crossed it'll be ready to the Karl Mackie Race Against Cancer in 2 weeks. I'm having a new rear pod top plate made up to support the side shocks oval cars run. Also having a new body mount piece made up for the the shocks to mount to. As soon as I have this done I will post pics. Here is my X10-O. First run this Saturday at the second leg of the SOS series at Lou's Speedway. Coming from an Oval background and looking at the car you made there are a few things it needs. First off you did a great job making this on your own. Few things it needs though? 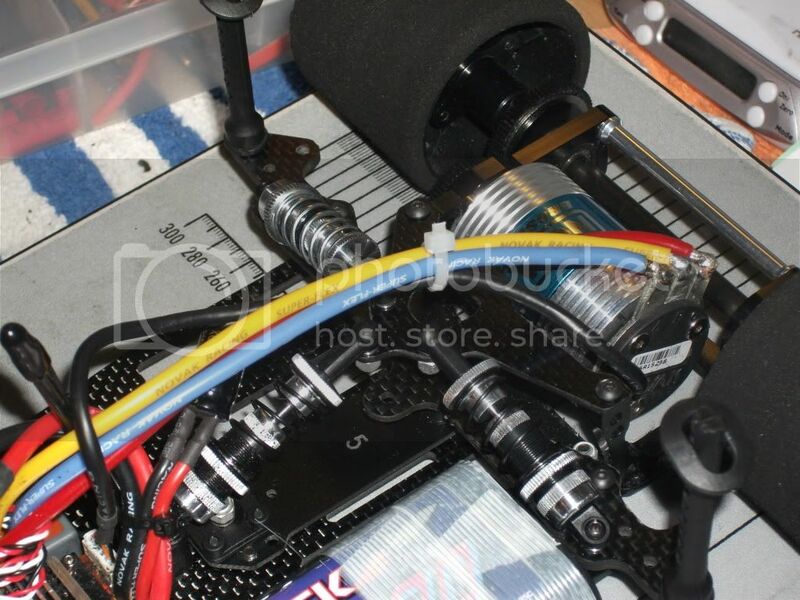 -Flip the servo over so the long end is on the left to help with left side weight. -The battery tray needs to be moved out further to get the battery more to the left and up against the battery. -It really needs an off set pod. You could drill another set of holes to move the T-plate over to the left. That will be where you will get your biggest handling gain. Those are some small things you may be able to do on your own for now. P.S. Also take the tweak screws out of the Tplate and you will want to tweak it with the side shocks now. Thanks for the post. I have taken out the tweak screws and the battery is mounted on the tray as far to the left as I can (touching body almost). Would be better to have the tray over more though. I have a spare chassis I may work on later. I've though about the servo as well. That may get done as the next step. Moving the rear pod will move the shock placements and they will all need to be readjusted, big job. The SOS Series wrapped up over the weekend. SCAR oval was included in the points series this year. Final standings below.